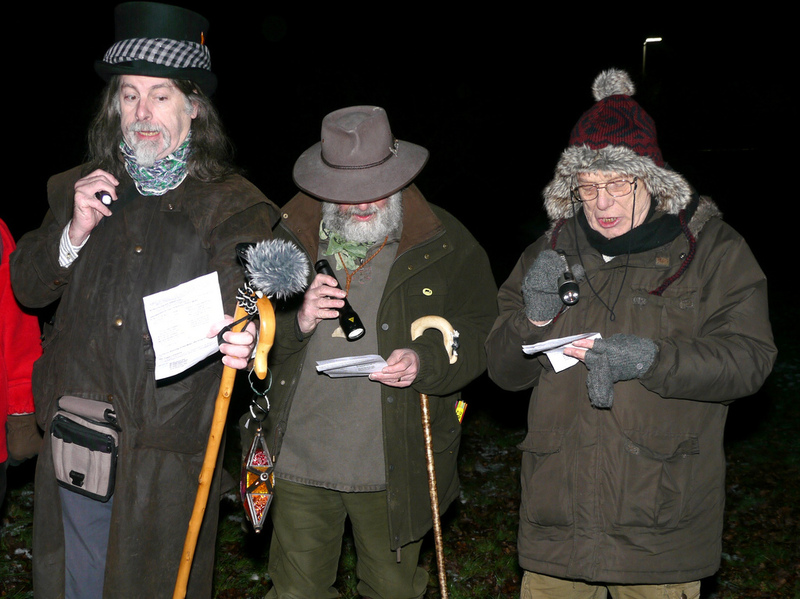 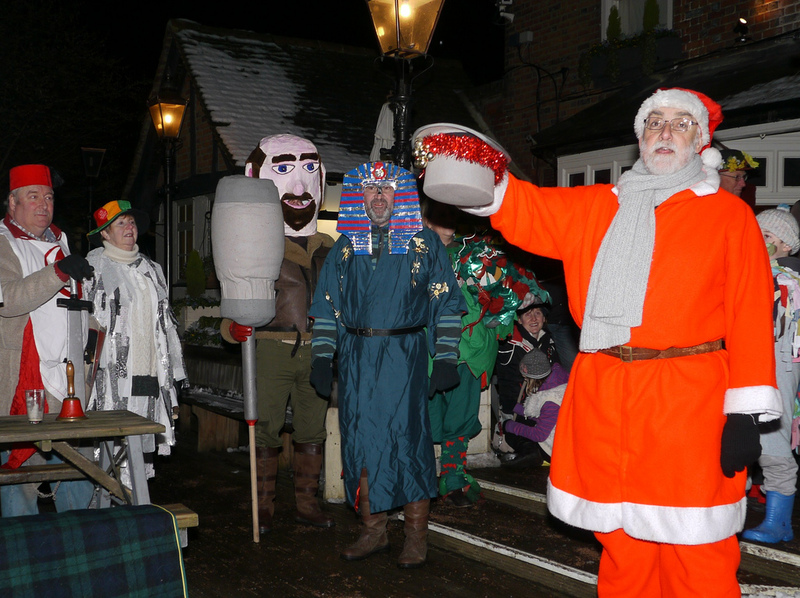 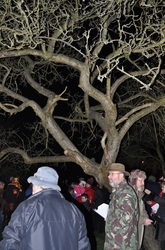 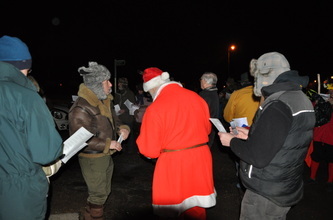 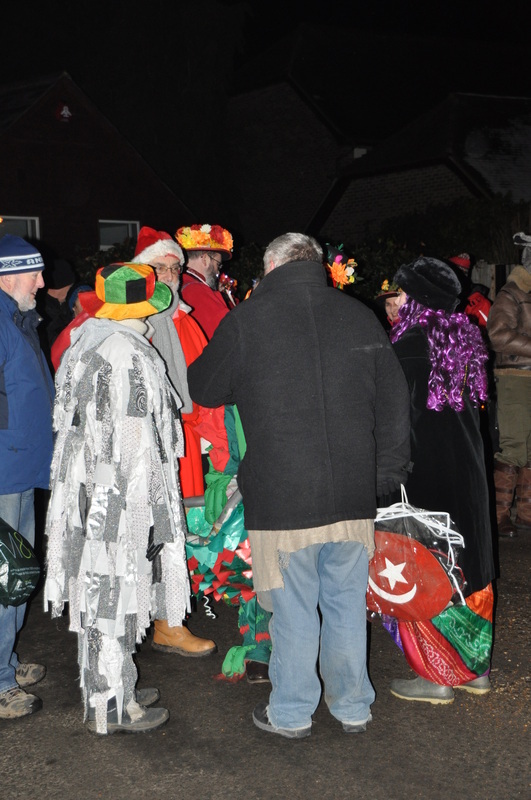 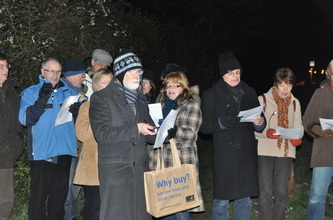 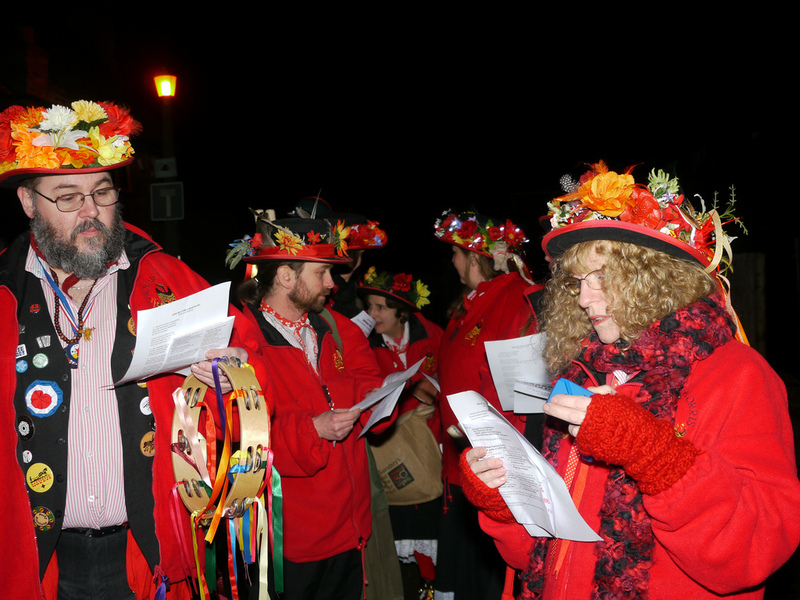 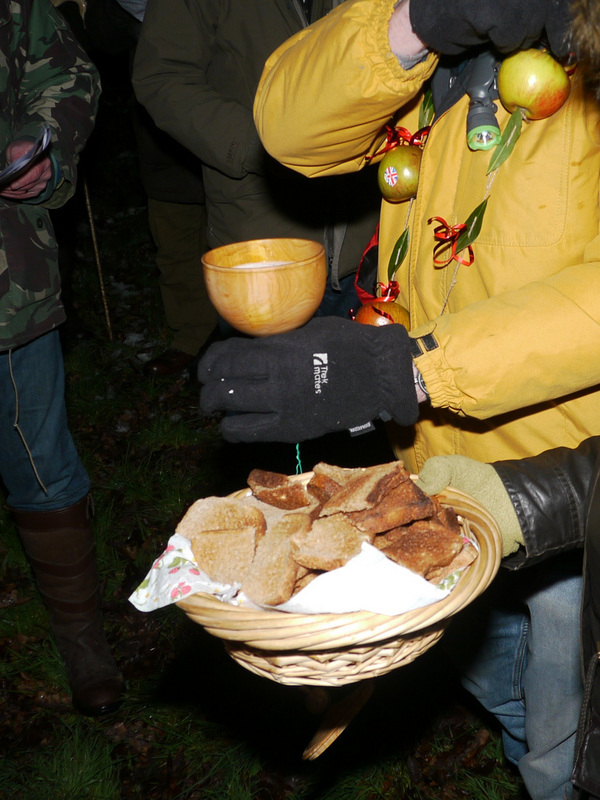 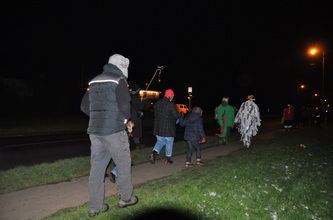 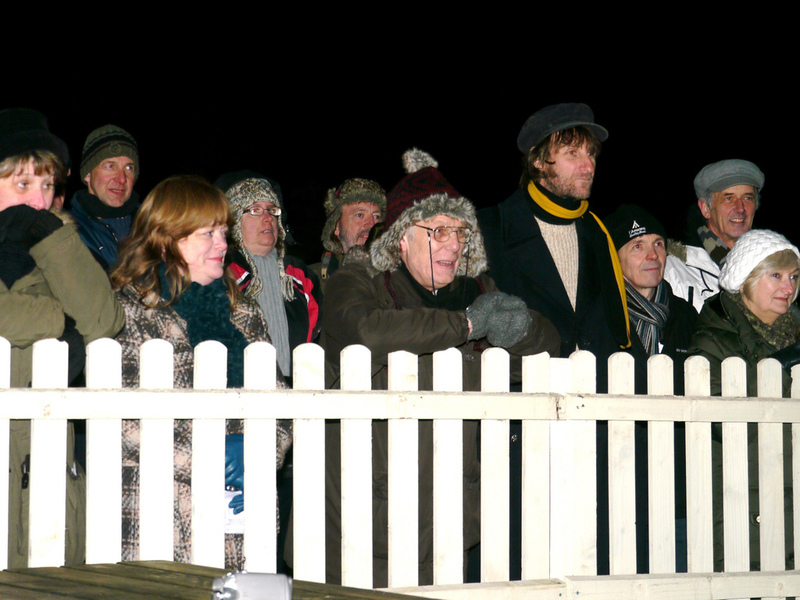 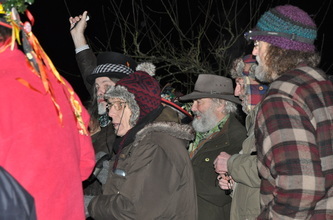 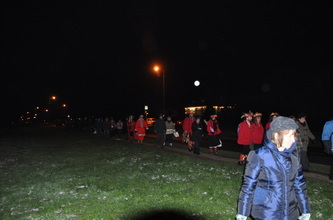 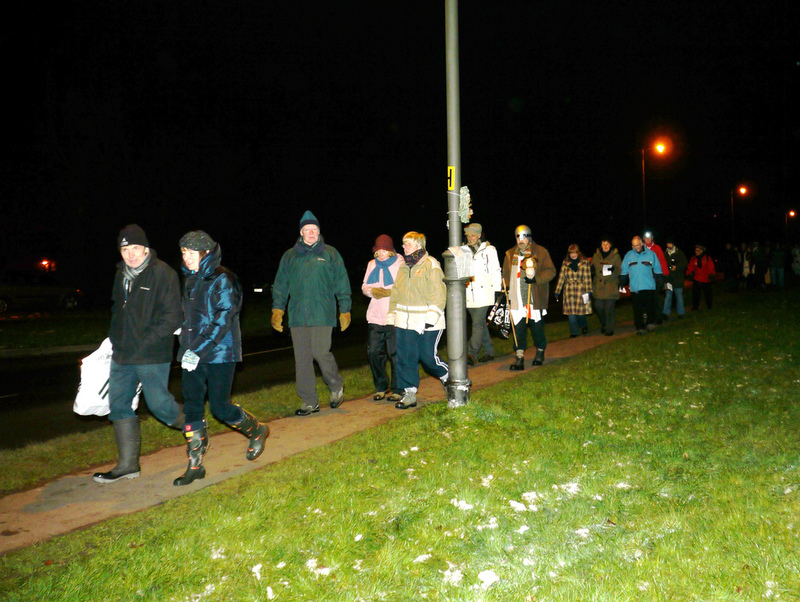 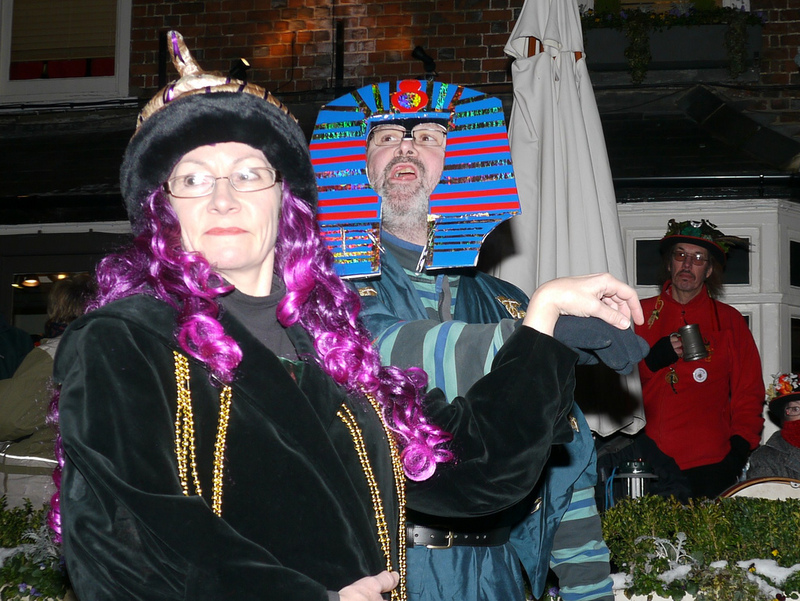 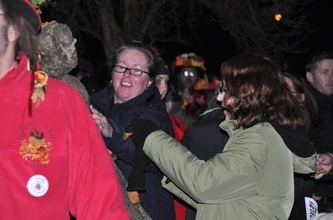 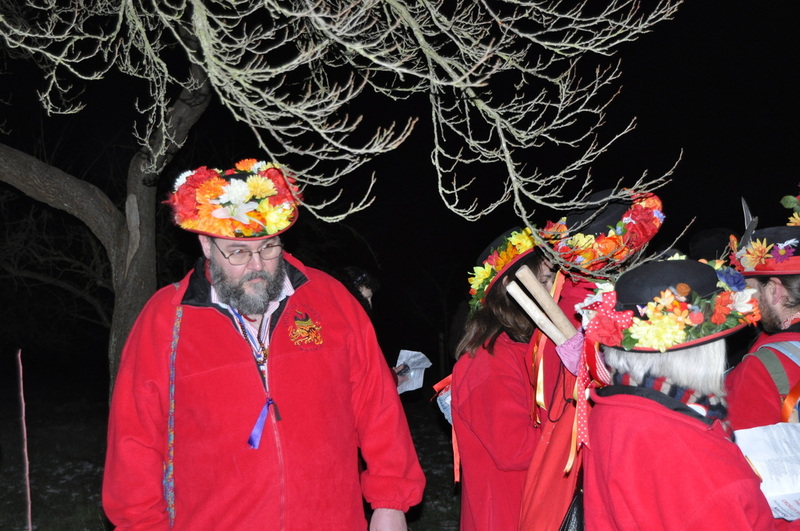 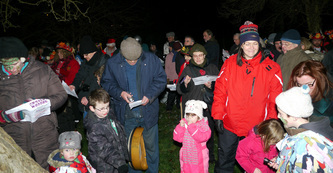 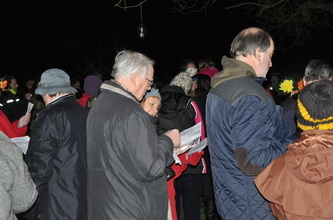 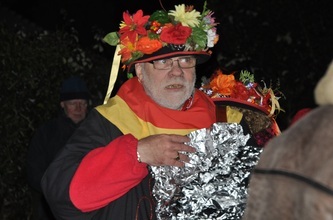 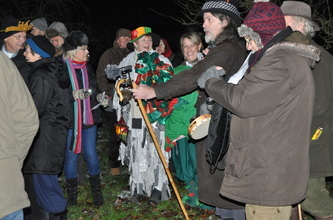 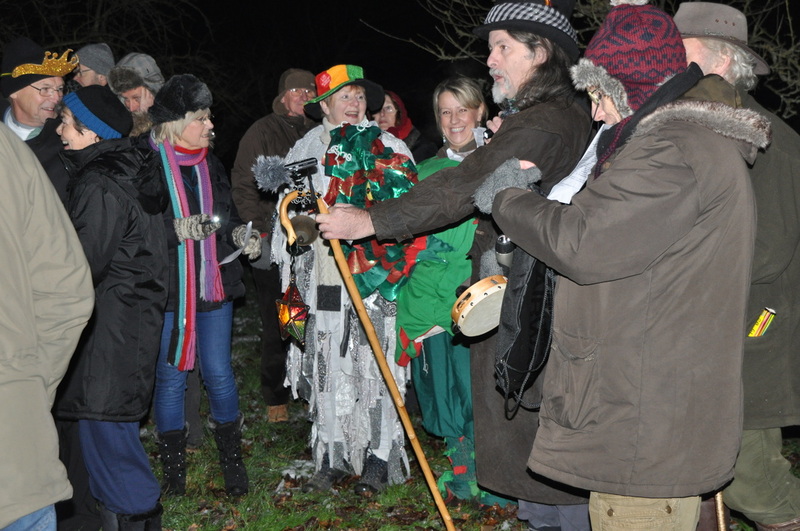 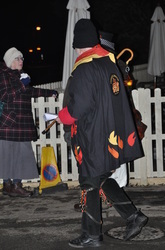 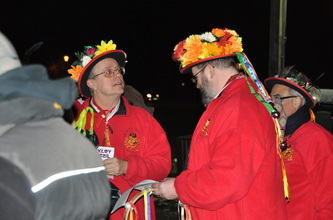 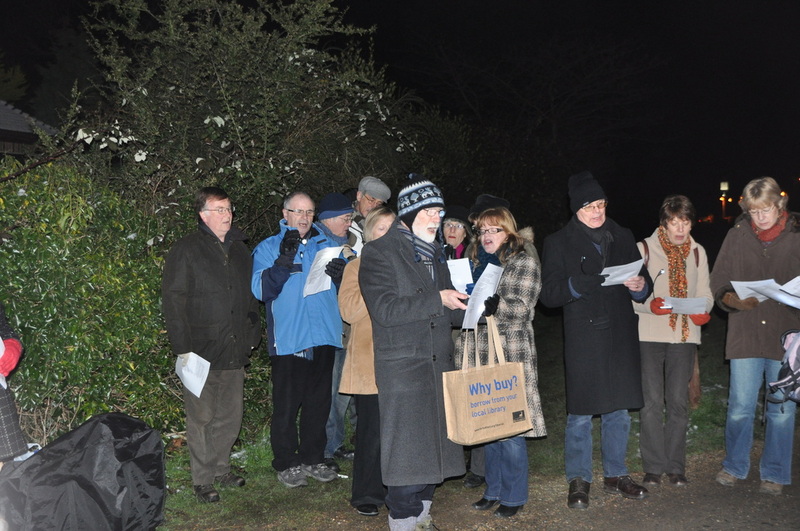 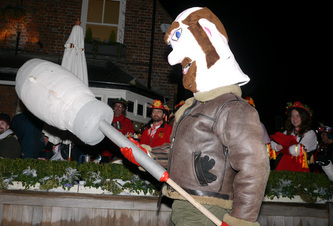 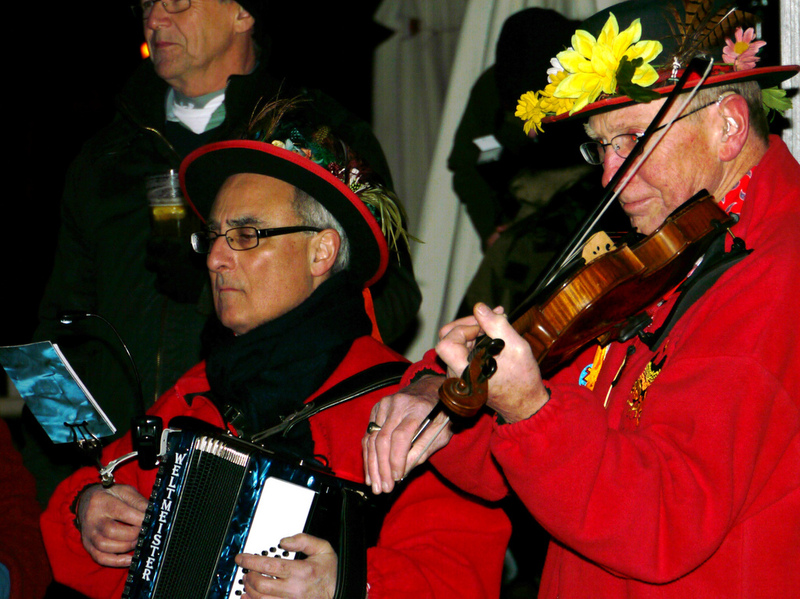 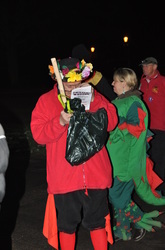 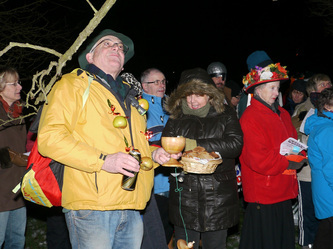 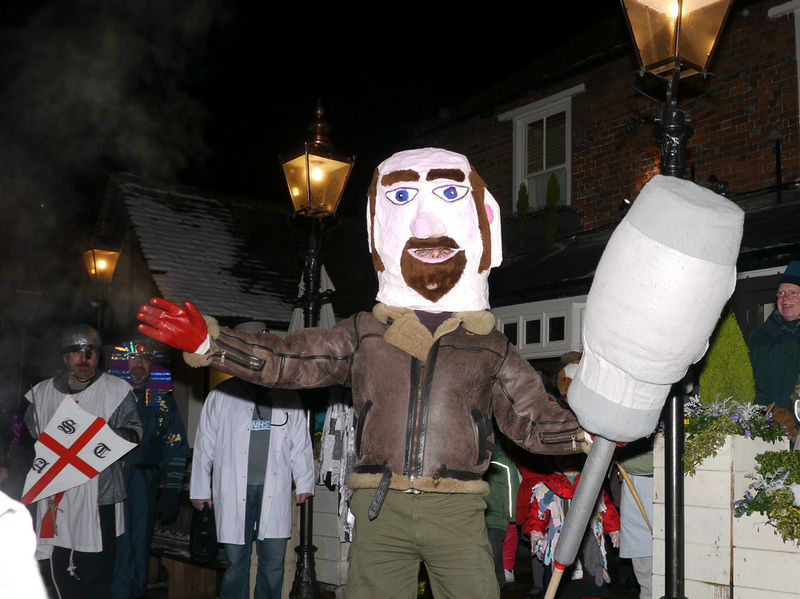 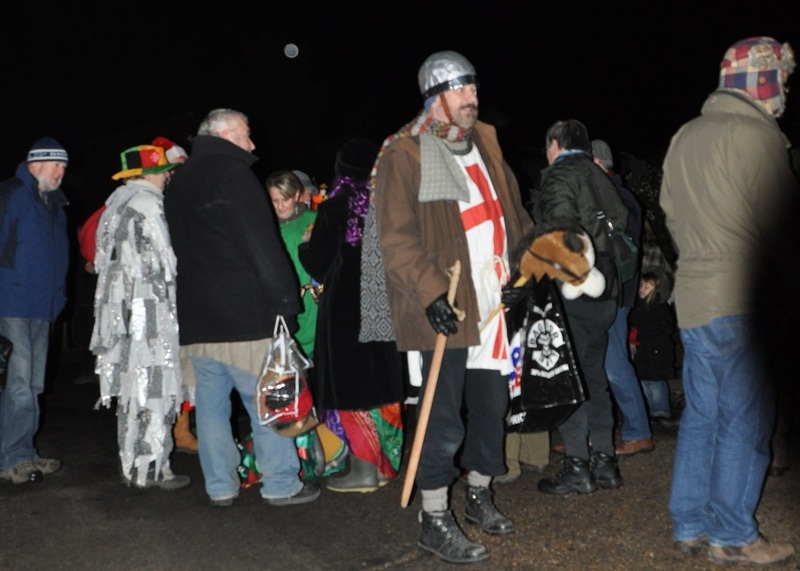 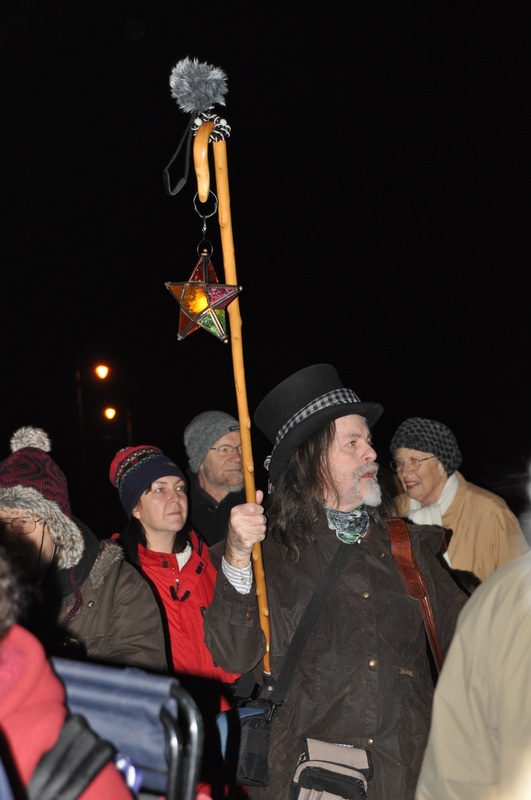 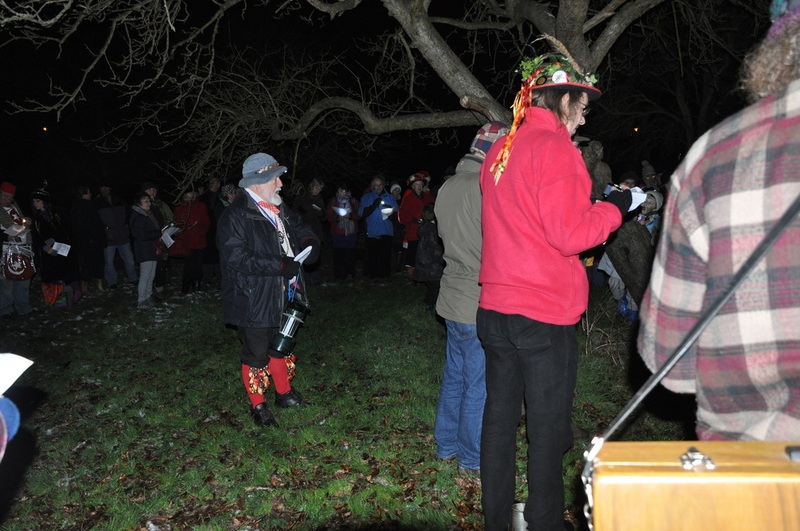 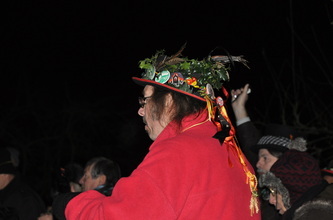 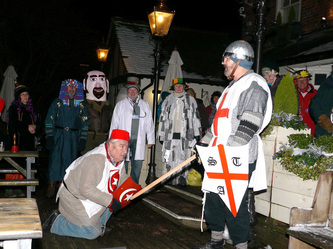 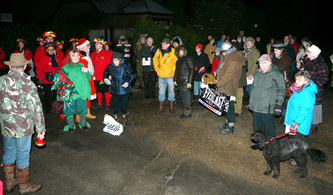 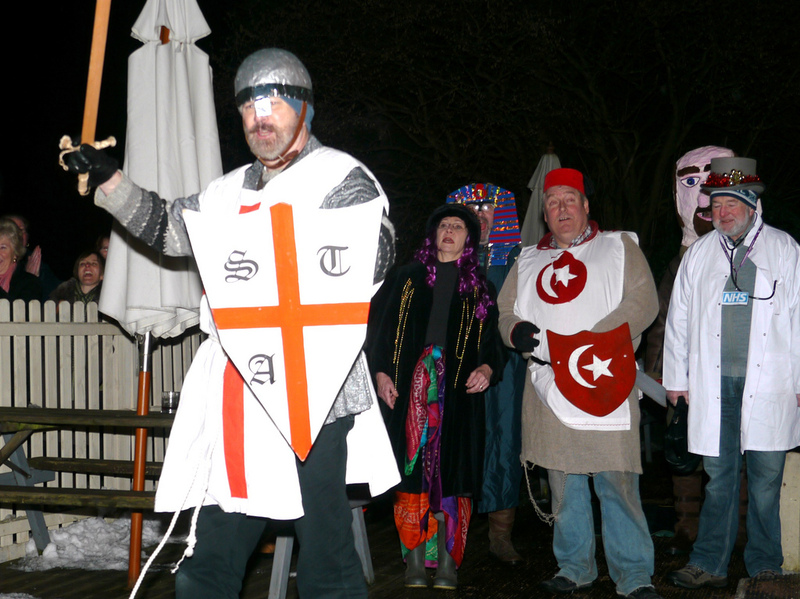 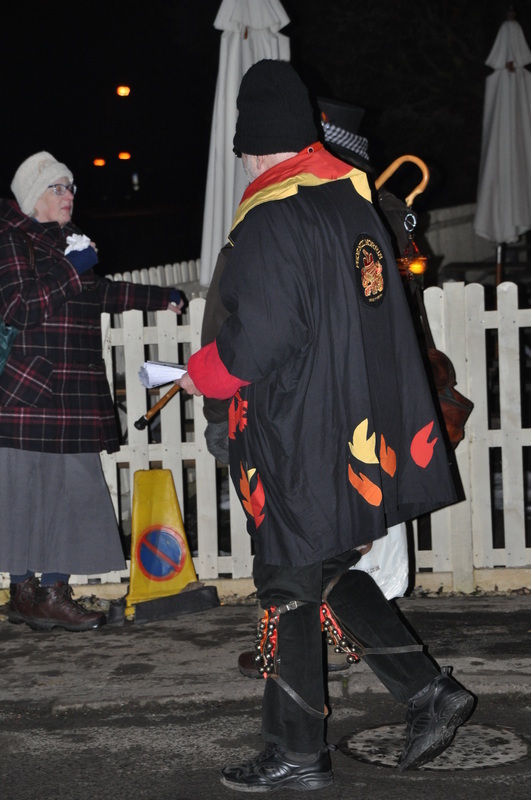 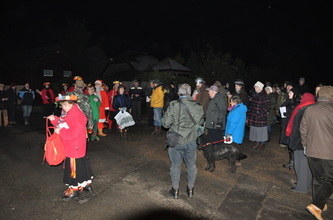 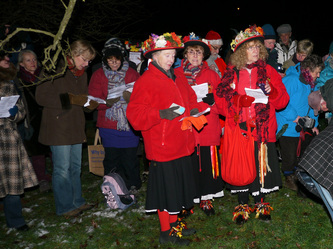 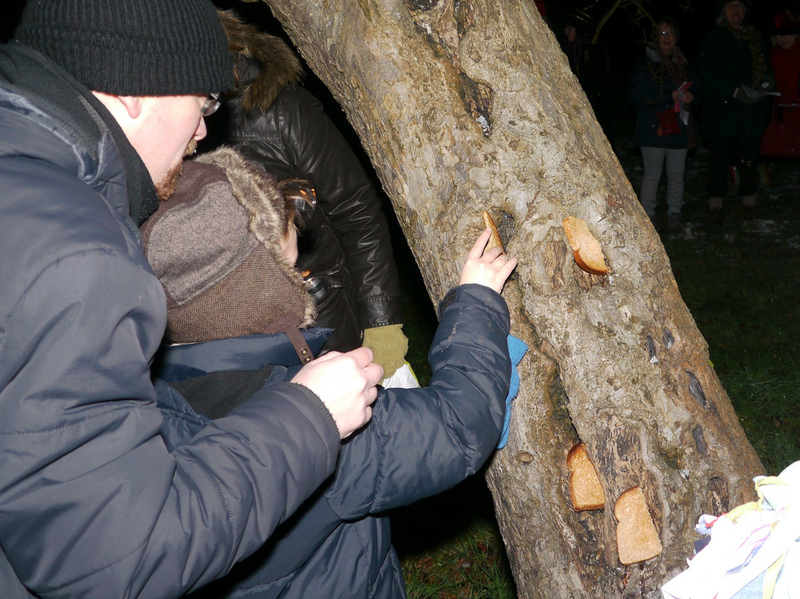 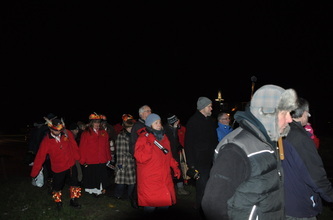 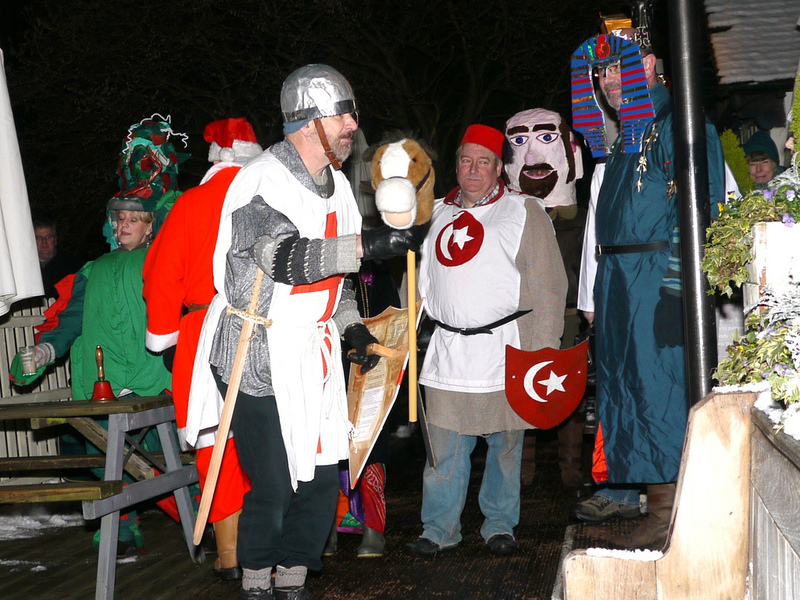 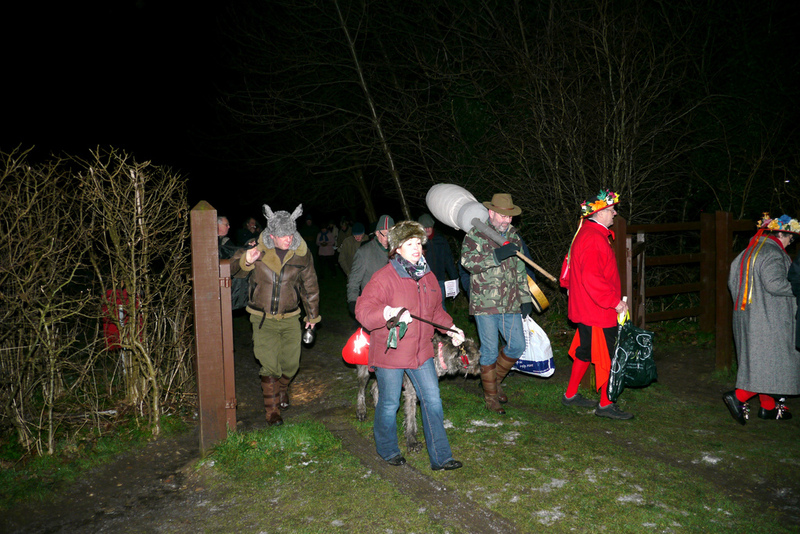 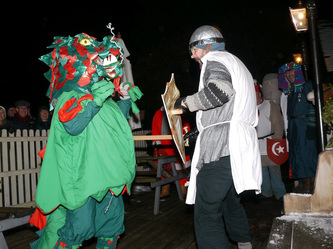 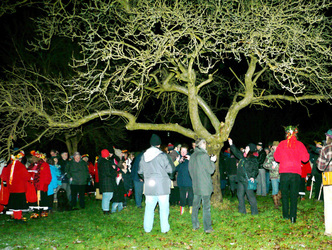 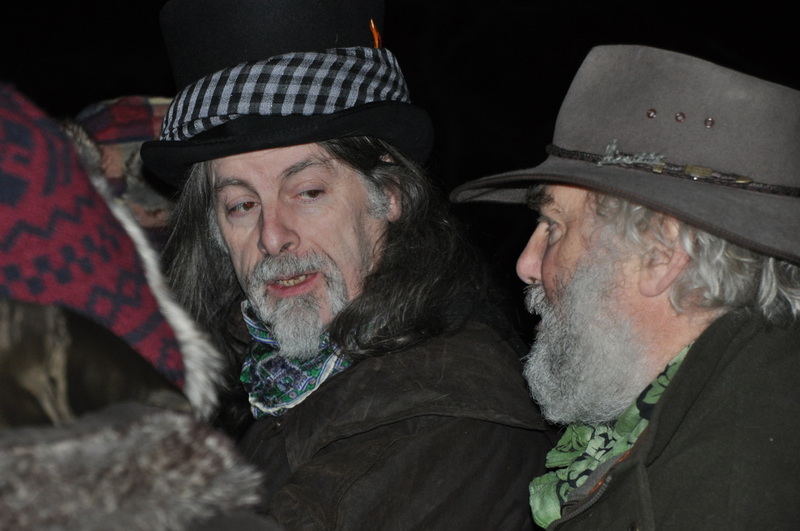 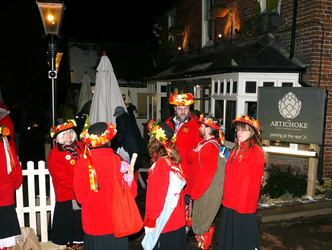 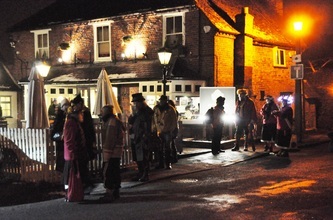 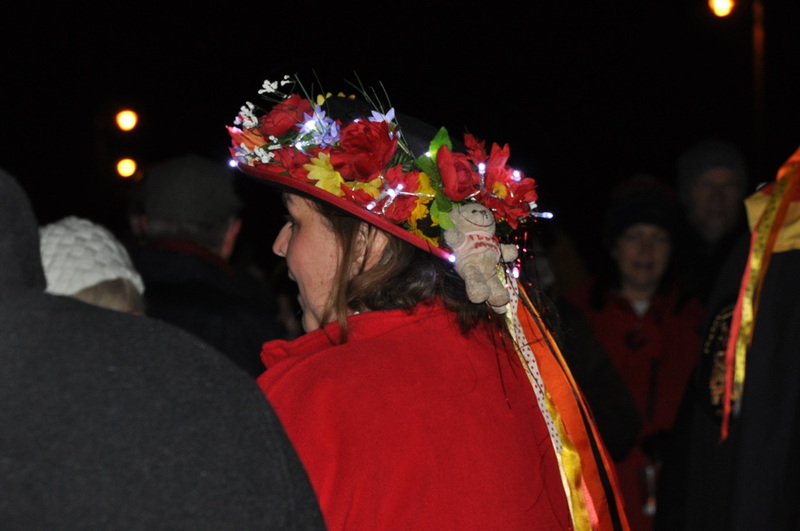 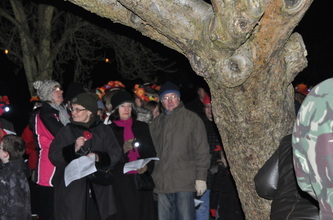 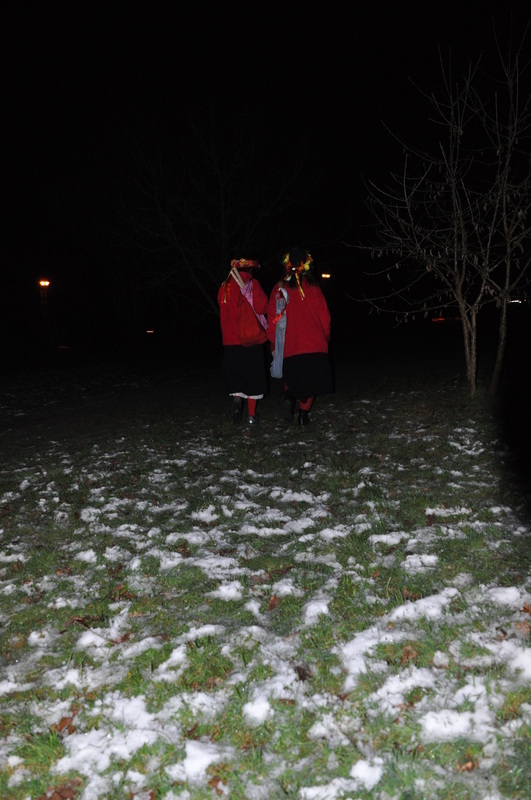 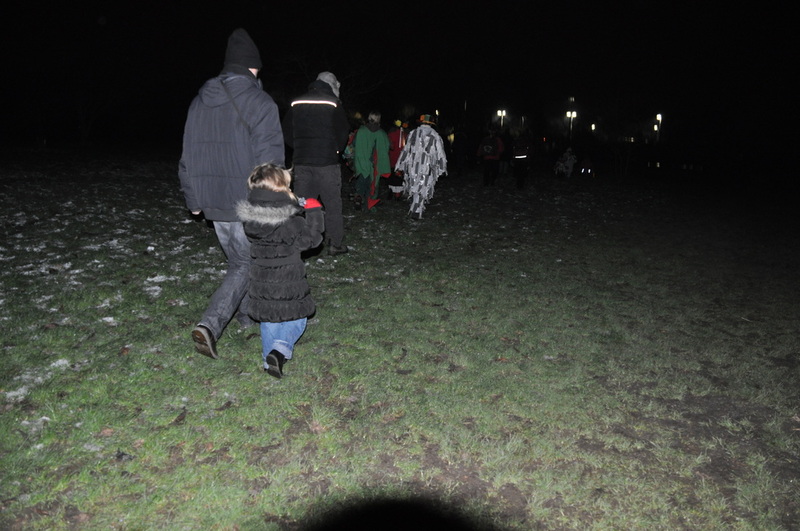 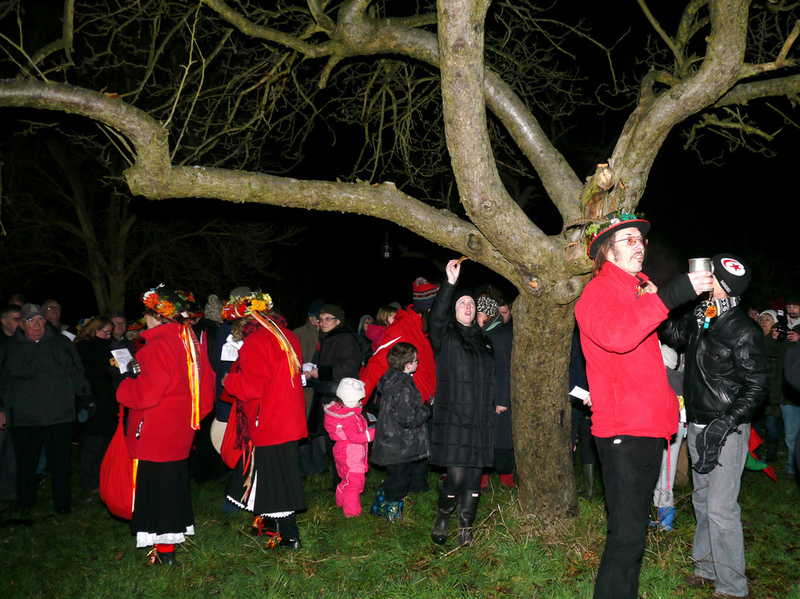 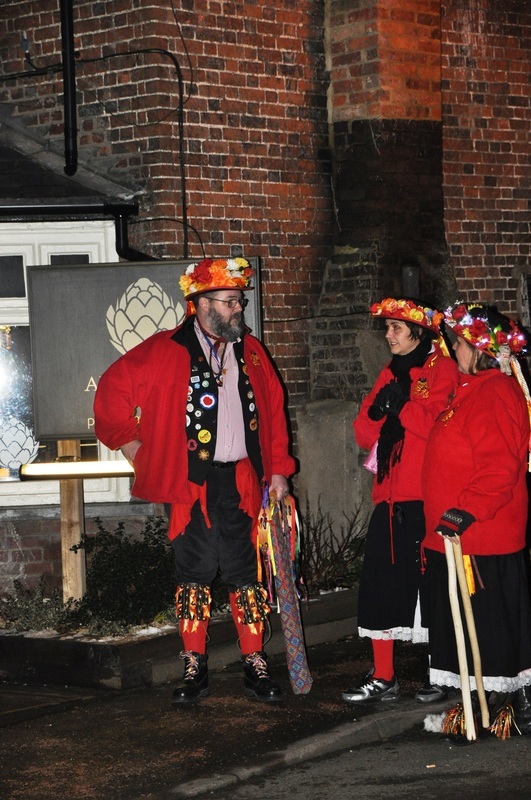 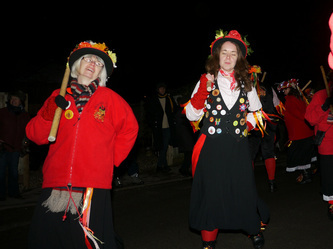 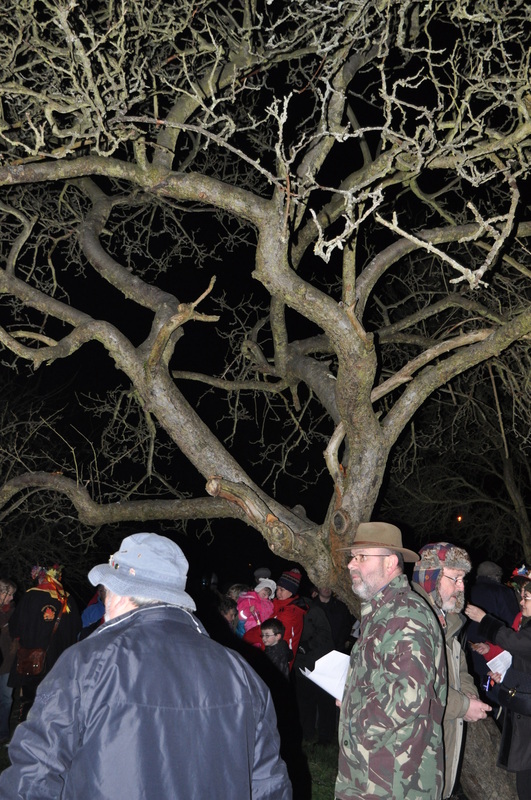 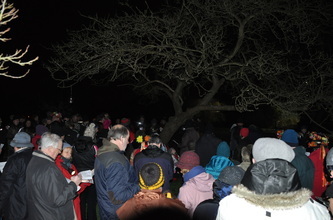 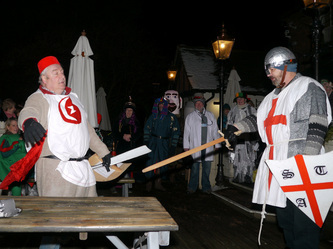 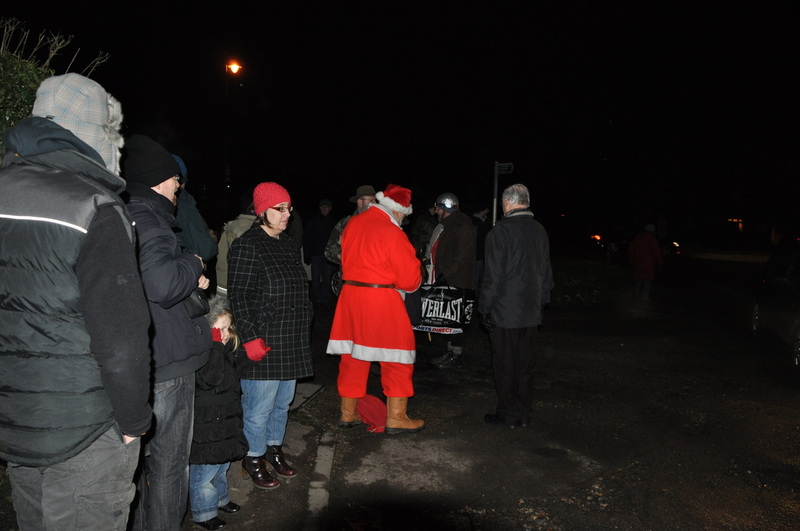 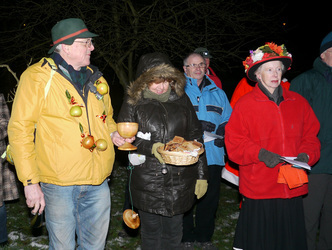 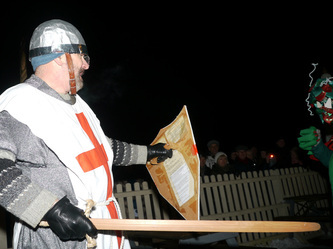 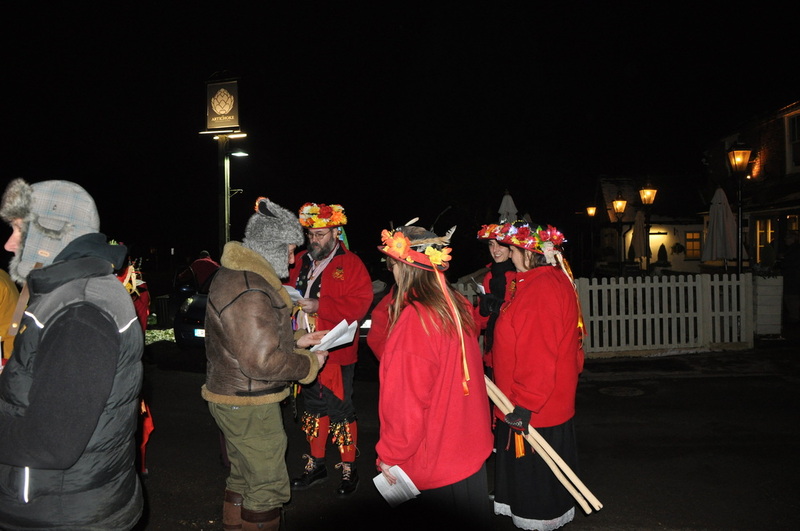 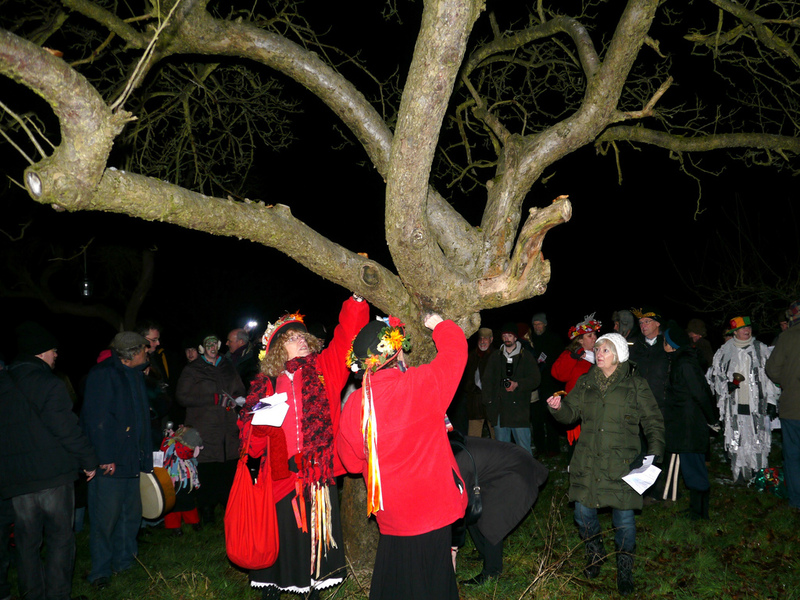 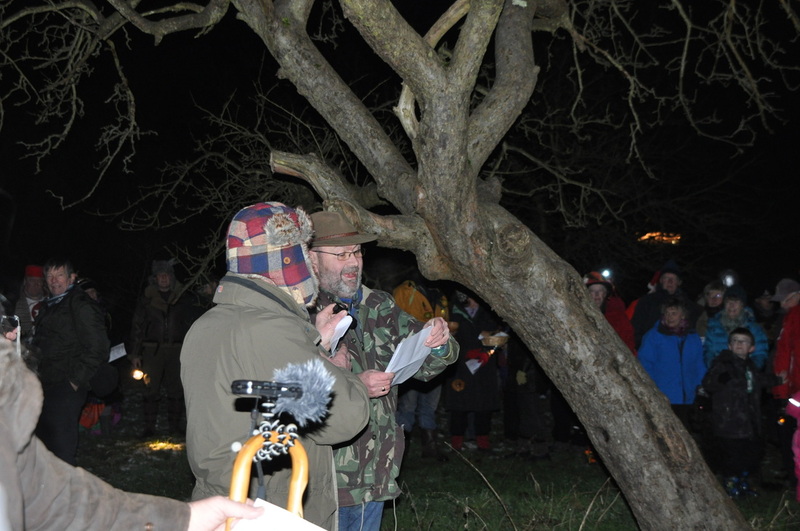 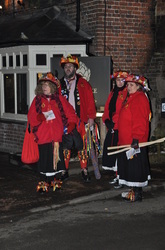 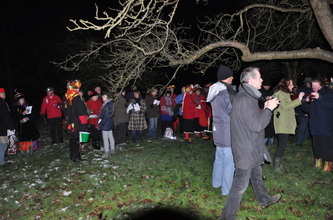 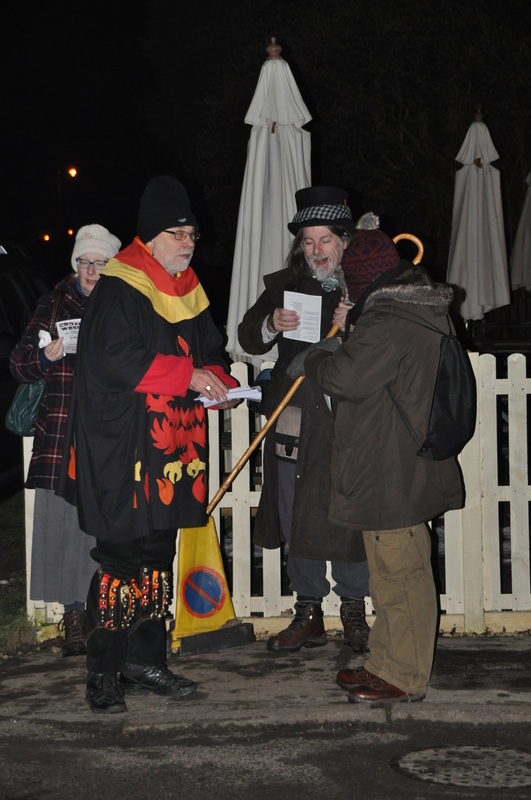 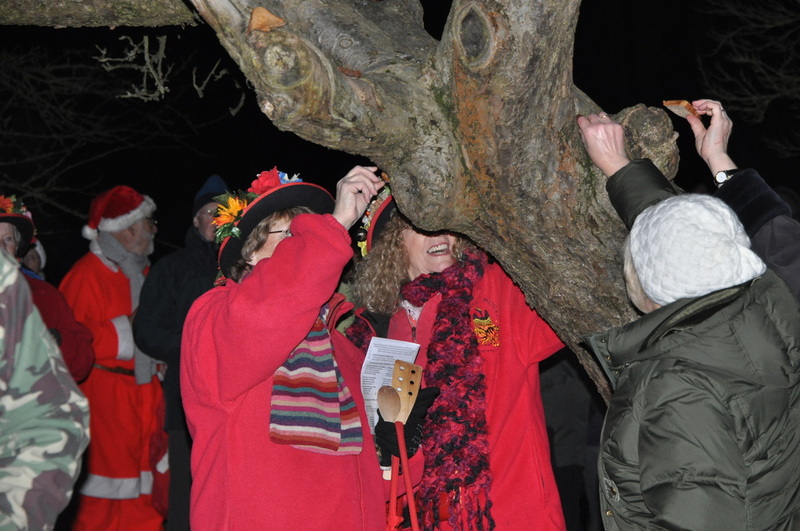 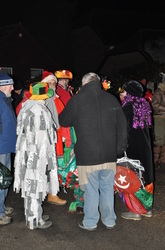 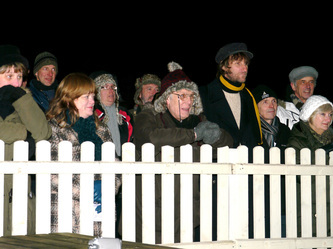 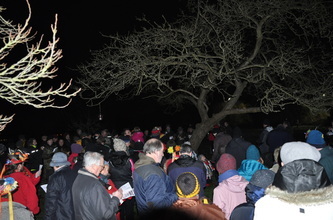 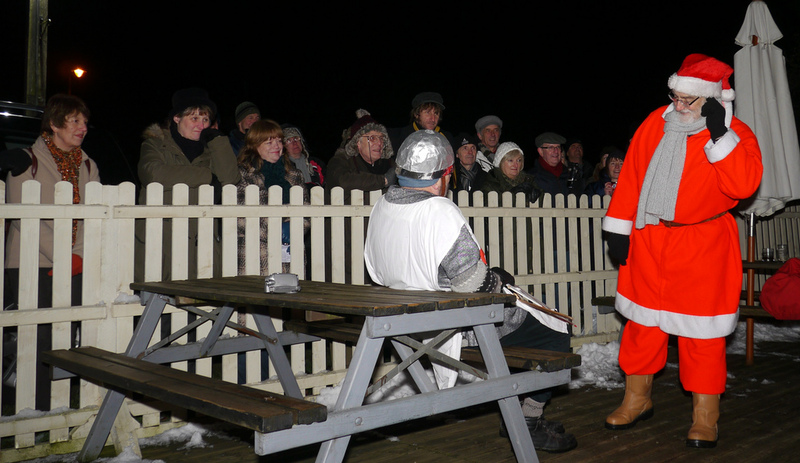 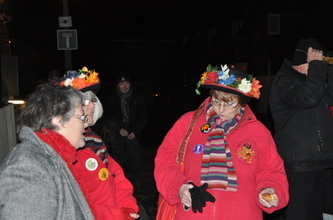 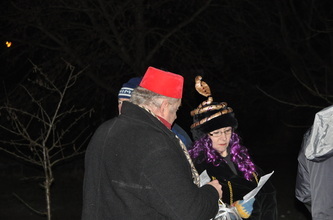 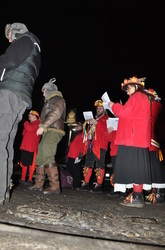 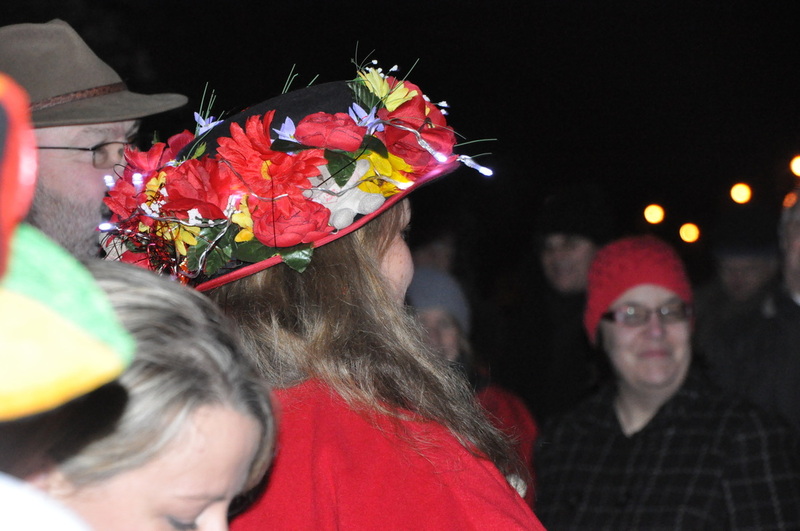 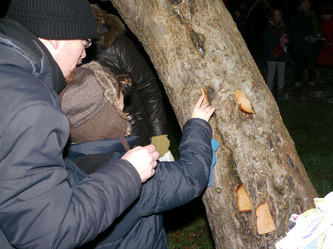 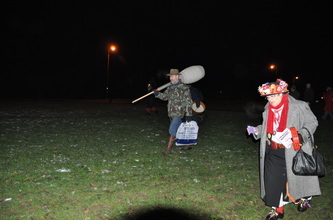 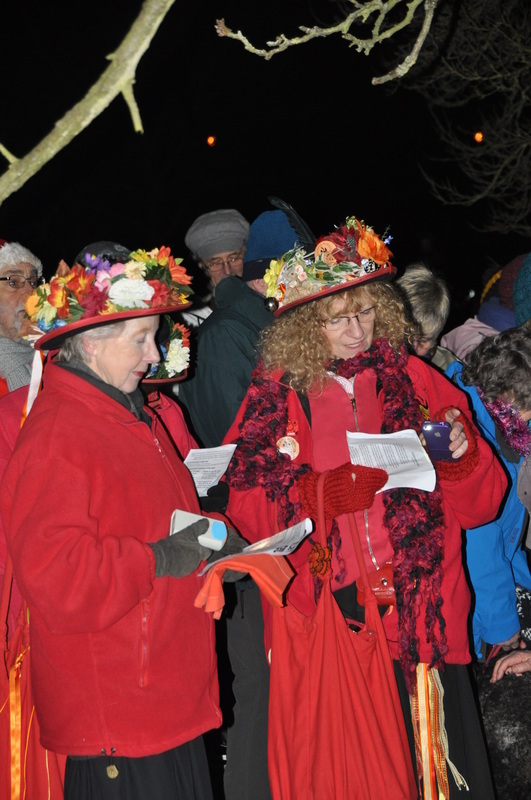 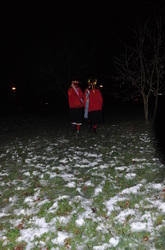 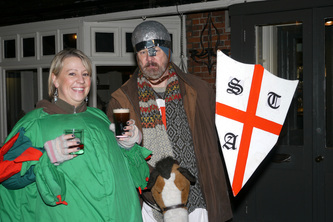 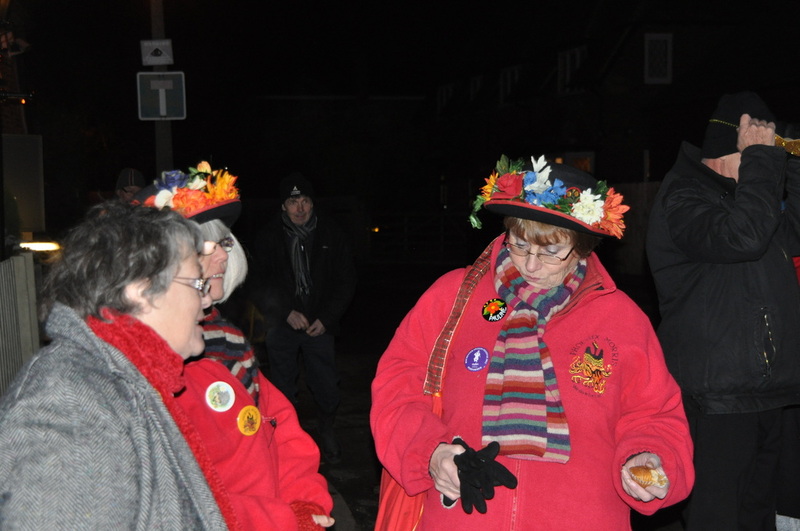 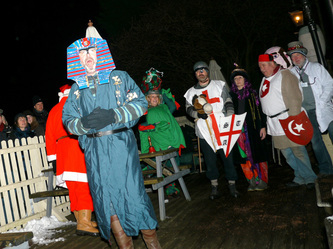 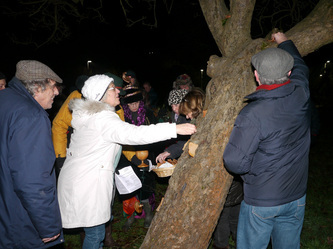 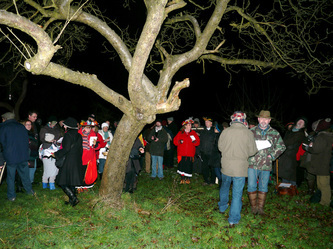 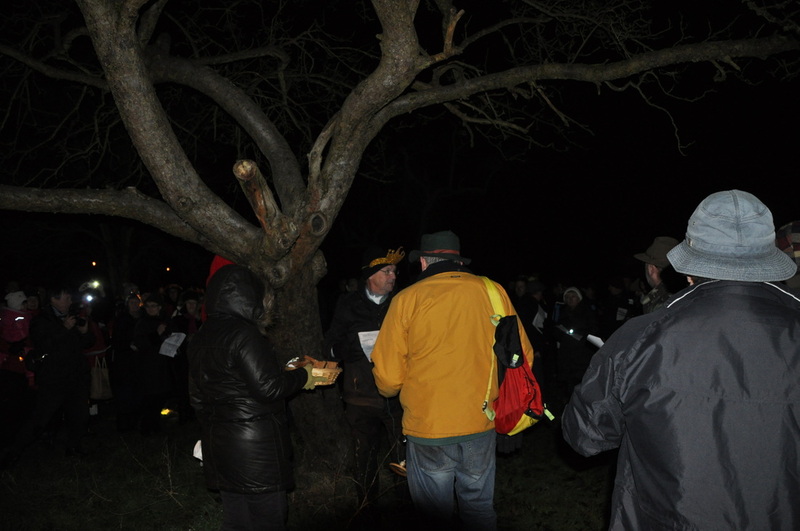 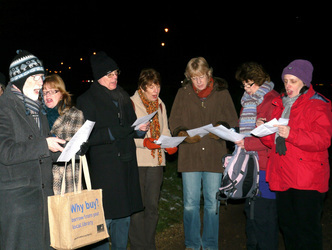 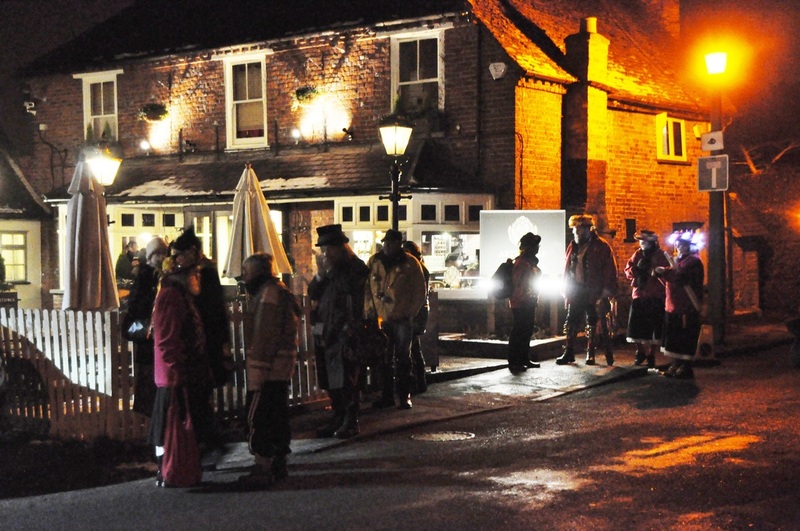 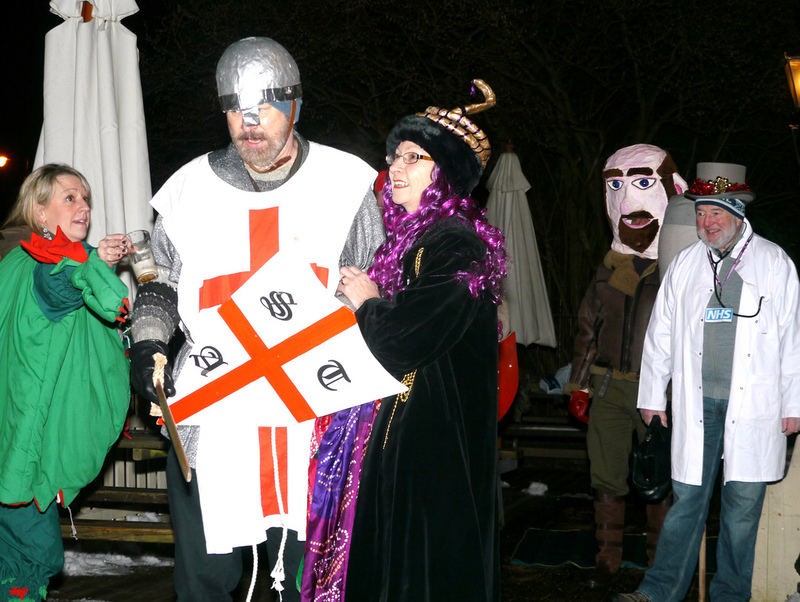 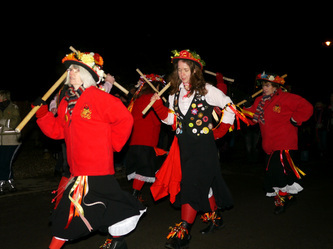 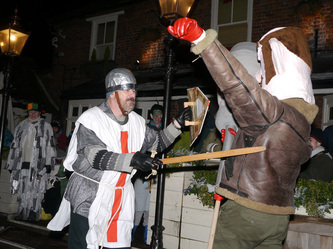 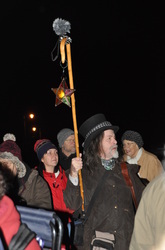 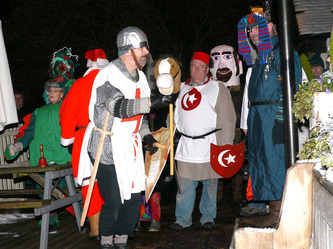 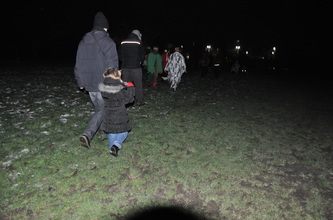 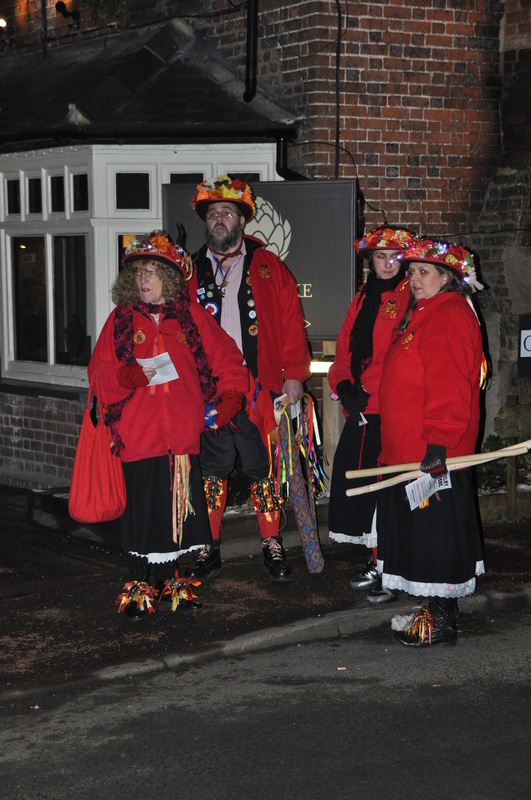 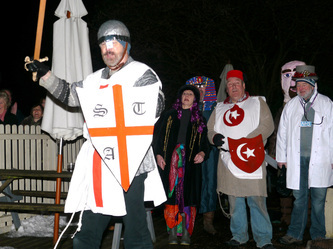 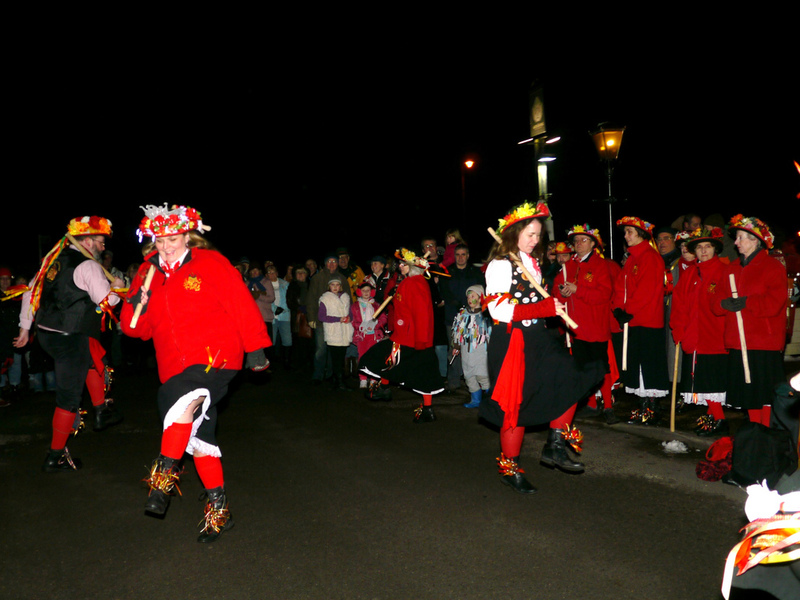 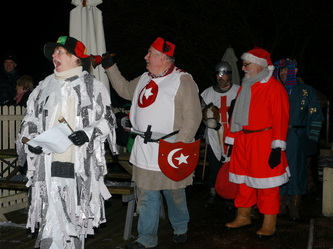 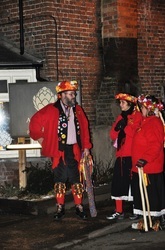 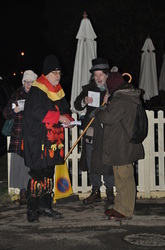 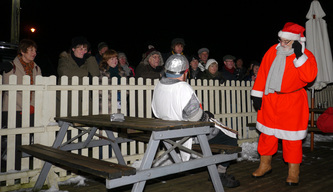 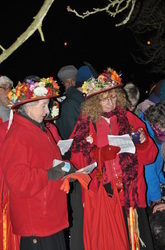 Croxley Green's first Wassail took place on 17th January 2013 in Stones Orchard, Croxley Green. There was a great turnout and the event was made even more special with the attendance of the Croxley Mummers and Phoenix Morris. 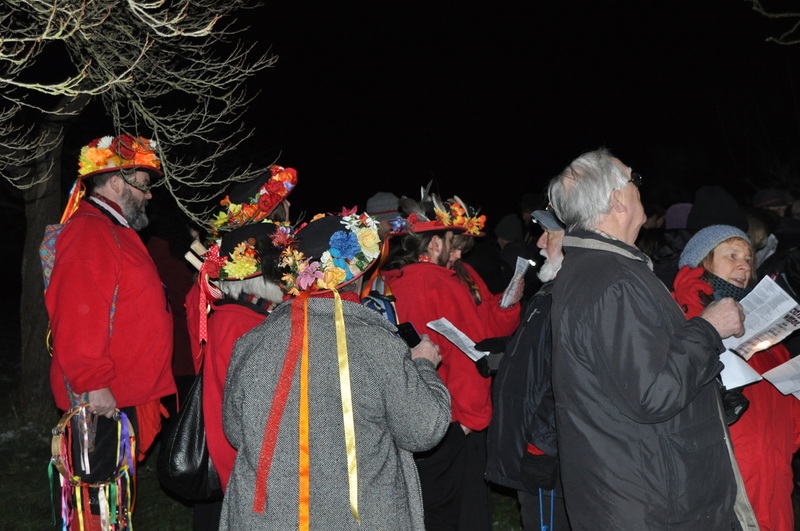 When we were meeting in December it was mooted that it would be a good idea if there could be a song associated with the Croxley Wassail. 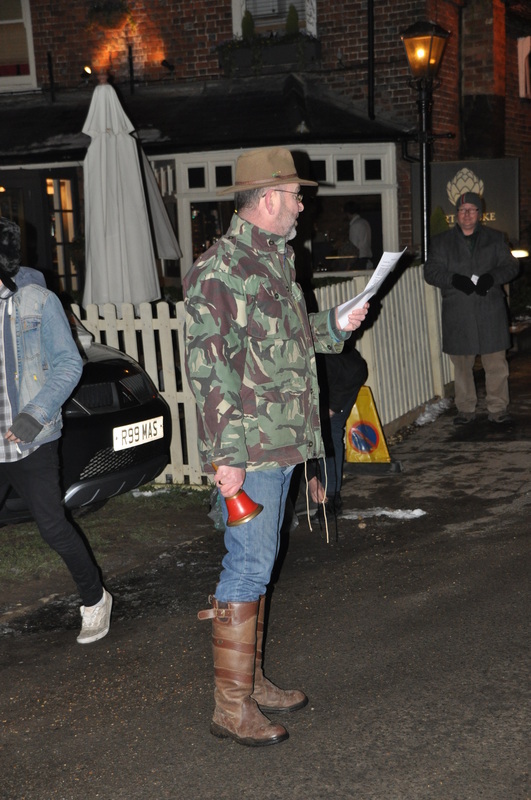 Having written one or two songs I got to be volunteered. I started to think of something that might involve Croxley places or events with the Wassail but could find nothing. In my case there are no other Wassail songs I know of that have specific place details in them. 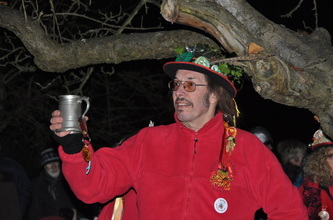 The association, if there is any, is purely in the name of the song - the Gower Wassail, the Gloucestershire Wassail, the Carhampton Wassailing Song, for example. 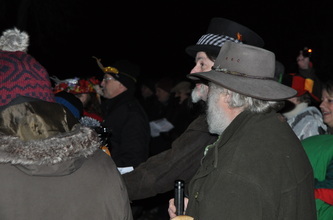 Most of the existing songs share some lyrics and all are about the ceremony. 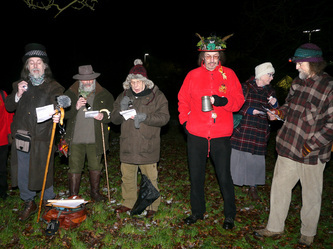 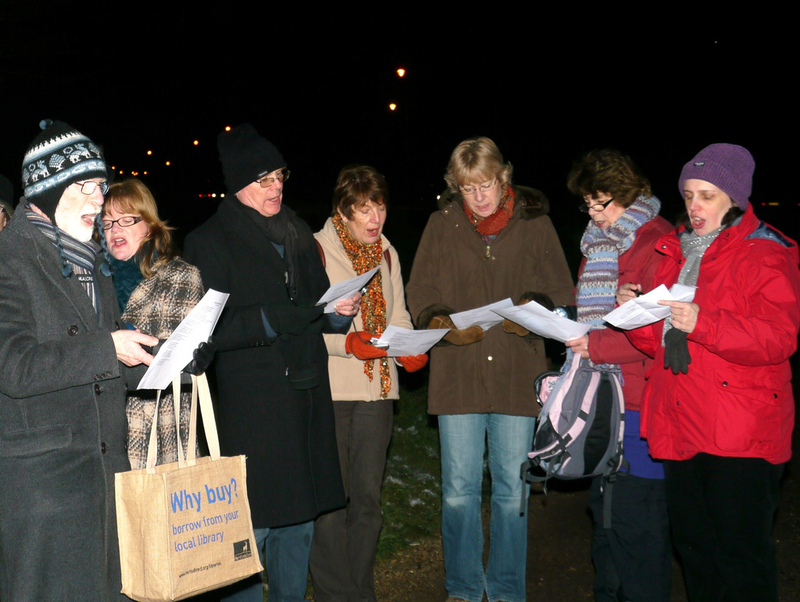 We had decided to use existing songs for the Croxley Wassail. There are no songs to my knowledge that come under the heading of "parting songs" that is songs sung at the end as people leave. 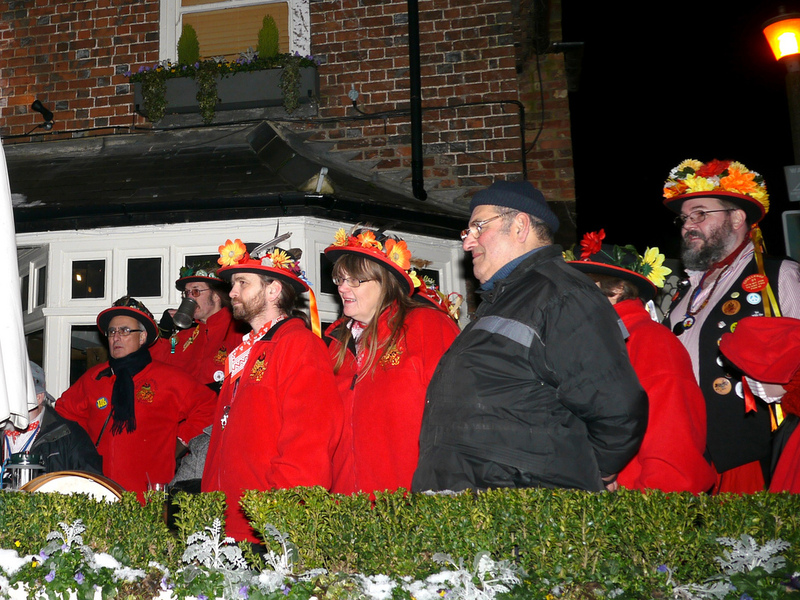 So I came up with the idea of a parting song that might, perhaps, be taken up elsewhere and spread the fame of Croxley Green by incorporating the village name in the title. 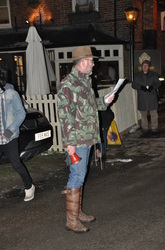 In my research I happened upon an untitled tune that had the right "feel" but being not quite right for my need I adapted it. 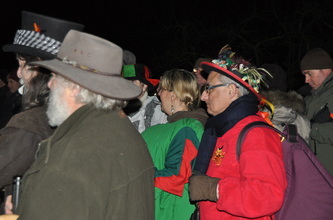 I subsequently managed to track down the name of the tune and its author, Ian Robb, who was happy for me to use the tune.